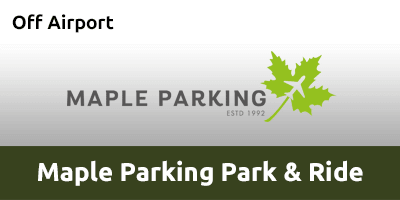 If you’re flying from Stansted Airport and looking to save money on your airport parking without compromising on location and security, then Maple Parking Park & Ride is the ideal solution. Just drive straight to the car park, hand your keys to reception then hop onto the transfer bus. It’s that easy. Transfer buses run 24 hours a day and are available on demand. Transfers are free and take 2-3 minutes each way. At the roundabout, take the third exit on to Southgate road and your destination will be on your left. Simply drive to the car park and you will be welcomed by a member of staff. If you're running more than 30 minutes early or late please call to let Maple Parking know. Please allow sufficient time for the driver to complete the check-in procedure and conduct the necessary photographic vehicle inspection on your arrival. This usually takes 3-4 minutes. Also allow time for your transfer which takes 5 minutes and is usually available on demand. If you have any problems finding us please do not hesitate to call us for help with directions on the day. As soon as you have collected all of your baggage and are ready to clear customs call us and follow the directions below. You will need to show this receipt to the bus driver. If you are returning ahead of schedule we must have at least 24 hours notice (or as much notice as possible) to ensure that your vehicle is ready to be delivered upon your return.The driver will need to see your return instructions paperwork to confirm your identity. Make your way out to the Express Set Down Pick Up area. Your bus will meet you in Zone C by the three flag poles. Be sure to look out for your vehicle and have your return instructions copy to hand.